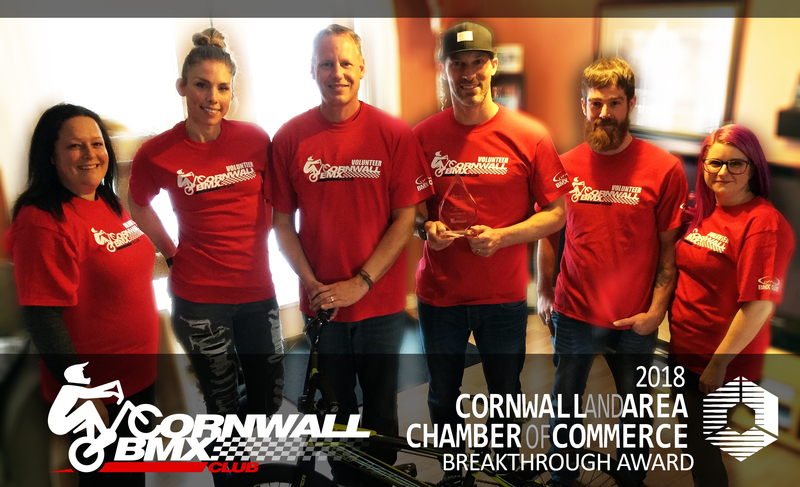 We thank the members of the Chamber, and the members and staff of Choose Cornwall for this prestigious award. 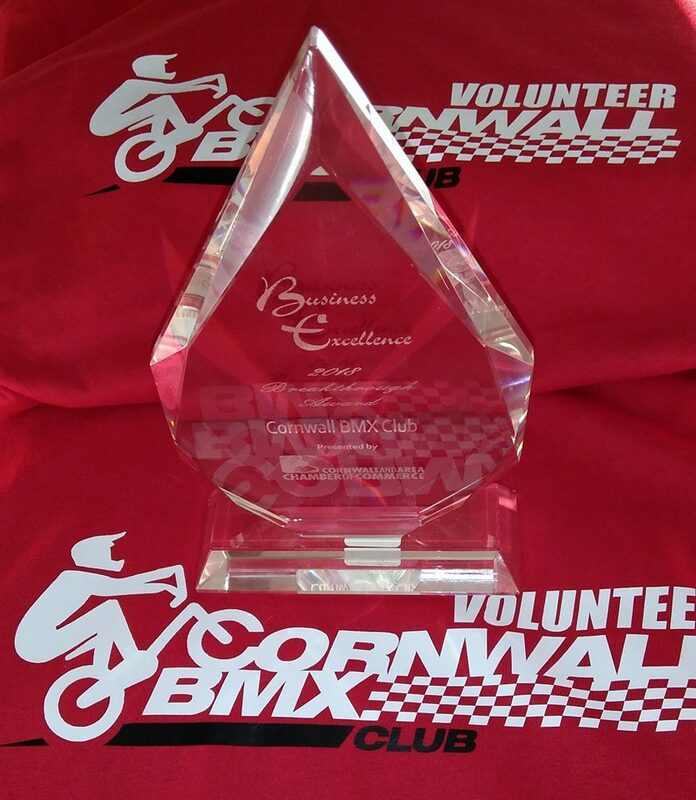 On behalf of our executive committee, we are truly honoured for your recognition of the work our members have put in to provide our community with a new and exciting way for whole families, and particularly young children, to participate in the fun and thrilling physical activity of sanctioned BMX Racing. We share this award with all of our volunteers, who put in the many hours of hard work needed to build, maintain and improve the track, set up, tear down, run our races, and keep everyone safe. We also share it with our riders and parents who continue to support us by coming back week after week to race, practice, help out or just hang out and ride. We thank the staff and Council of the City of Cornwall for their continued support as well as the Rotary Club of Cornwall for helping us get our project going. We thank our fellow Track Operators and BMX Family Members in Ottawa, Nepean, Kingston, Gananoque, Milton, Stouffville, Niagara Falls, and Chatham for helping us with tons of advice and elbow grease in our quest to build a BMX racing track, and for coming to ride our “crazy-long” track. We would also like to thank all of our sponsors and supporters who believed in our vision and provided us with the tools we needed to get started and continue to support us in our ongoing quest to make our track a leading BMX racing destination. 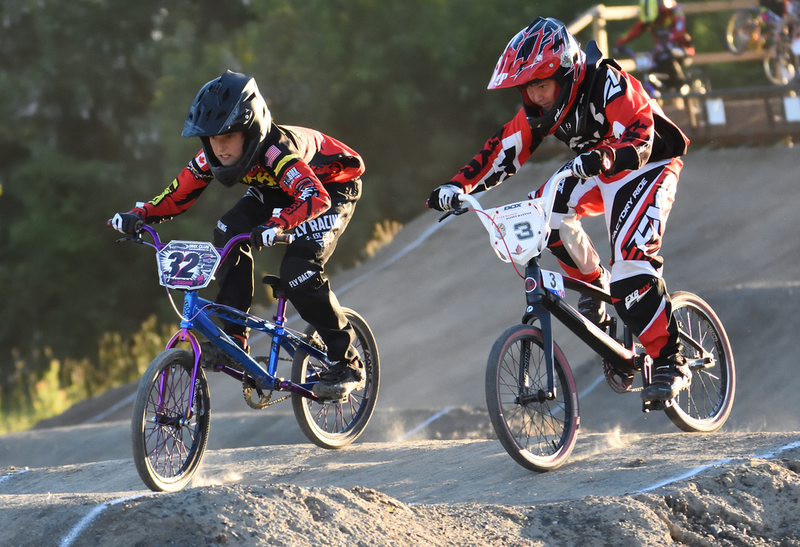 Finally, we thank our families for their patience, understanding, hard work, and whose love and support gave us the strength to persevere and successfully complete an entire first season of BMX Racing. We look forward to an amazing 2019 season, which will be packed with more riders, more races and our biggest event to date; our DK Gold Cup Regional and Provincial Qualifier weekend happening June 21st to 23rd. We look forward to seeing everyone when the track is dry!